As I had promised on my "Mother Knows Best" post, I am carrying the beautiful pouch as a backpack. It is very roomy and can fit a lot of stuffs. Thank you Mom once again. 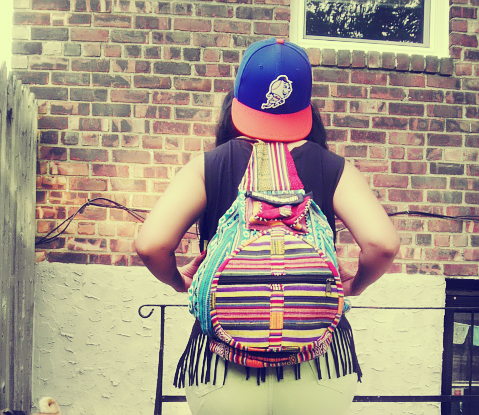 Since the backpack is very colorful and loud, I kept my outfit simple. I have on a lime green high waist-ed shorts and a fringe tee. I am wearing a baseball hat and tennis shoes to complete this very casual Cali girl look. 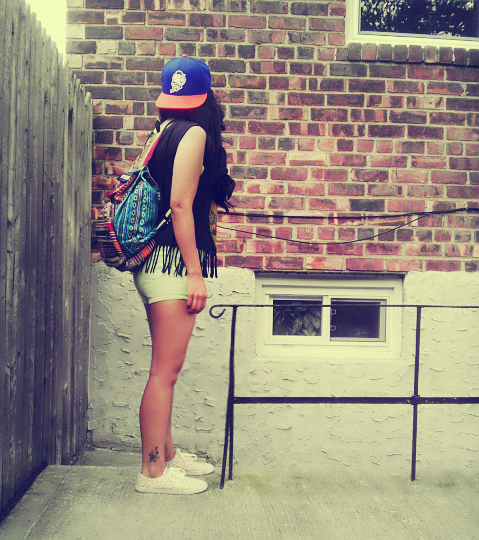 I really like rhese backpack. 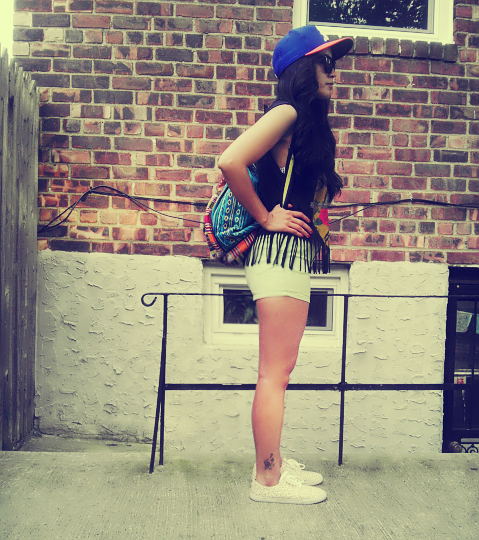 The whole outfit is a pefect outfit for a summer in the city. 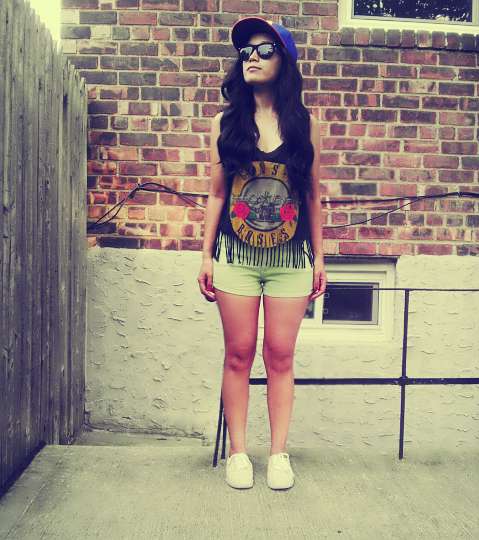 Definitely a Cali casual girl:)! Love the boho, grungy, edgy casual look:)! Would you like to follow each other.!! Beautiful and cool look. Love your top and the backpack. I have the same top! cool! 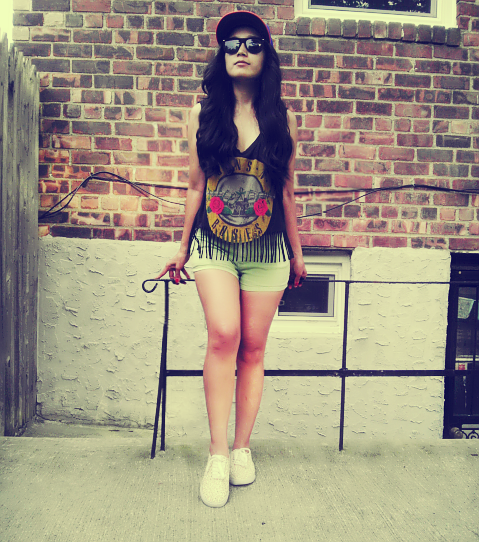 rad style! 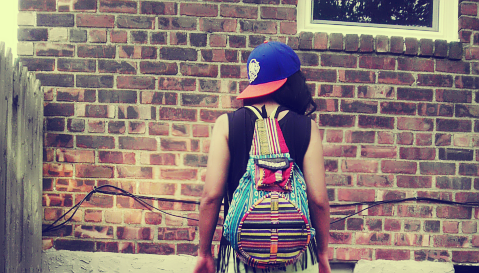 love the backpack. awesome blog as well, perhaps we could follow each other on GFC? please feel free to check out my blog and let me know if you'd like to. This is a super cute look! your top <3 so cute!! i always love to see your hair >.< so thick and beautiful! amo questo zainetto. E' stupendo. Grazie per essere passata sul mio blog, torna a trovarmi su Inside Me. Wow! Love your bag and the pictures are amazing! 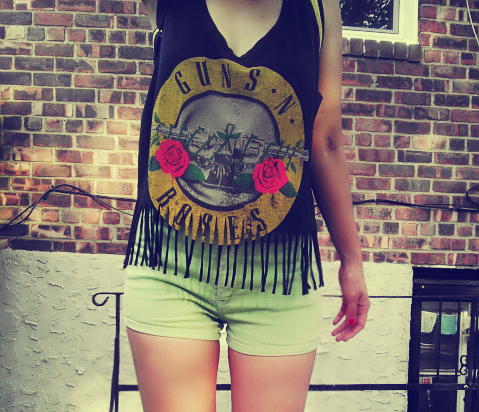 Your guns and roses top is (y). 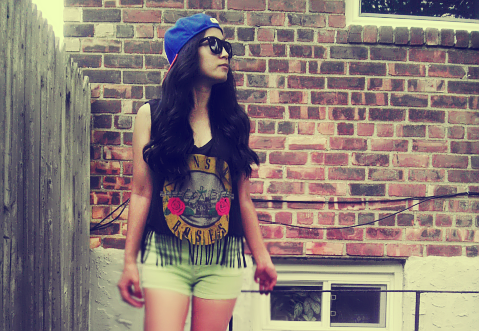 cute outfit <3 your blog is very lovely and interesting. im glad if you visit my blog, too <3 keep in touch! Aaaaawesome top! 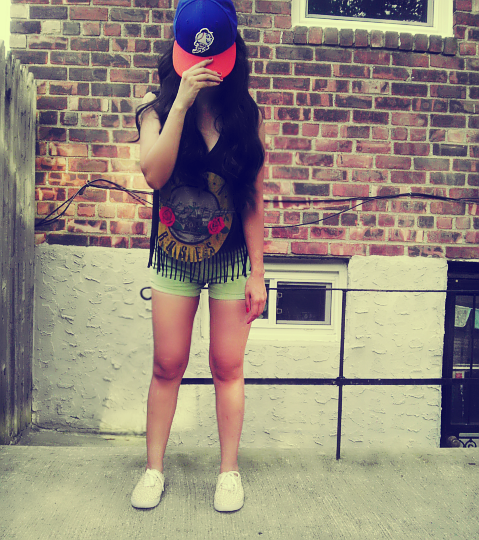 I totally love it :) Nice outfit sweetie. love your hat. Go Mets! i love this casual look!!! very west coast. love it. will be following your every post. Nice outfit, love the backpack you have!